Oedipus Rex, also known by its Greek title, Oedipus Tyrannus, or Oedipus the King, is an Athenian tragedy by Sophocles that was first performed around 429 BC. Originally, to the ancient Greeks, the title was simply Oedipus (Οἰδίπους), as it is referred to by Aristotle in the Poetics. It is thought to have been renamed Oedipus Tyrannus to distinguish it from another of Sophocles' plays, Oedipus at Colonus. In antiquity, the term “tyrant” referred to a ruler with no legitimate claim to do so, but it did not necessarily have a negative connotation. Han Ji-min is a South Korean actress. After minor roles in All In and Dae Jang Geum, Han had her breakout role in revenge series Resurrection in 2005. This was followed by leading roles in period dramas Capital Scandal and Yi San, contemporary dramas Cain and Abel and Padam Padam, romantic dramas Rooftop Prince, Familiar Wife as well as drama film Miss Baek. Sad Love Story is a 2005 South Korean television drama series starring Kwon Sang-woo, Kim Hee-sun and Yeon Jung-hoon. It aired on MBC from January 5 to March 17, 2005 on Wednesdays and Thursdays at 21:55 for 20 episodes. Uhm Ji-won is a South Korean actress. Lee Chang-seon, better known by his stage name Lee Joon, is a South Korean actor and former singer. He is best known as a former member of the South Korean boy band MBLAQ. Since early 2015 he has been signed to Prain TPC. Jung So-min is a South Korean actress. 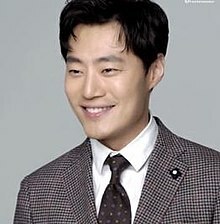 Park Hee-soon is a South Korean actor. He graduated with a Theater degree from Seoul Institute of the Arts, and was a member of the Mokwha Repertory Company from 1990 to 2001. He became active in film beginning 2002, and won several Best Supporting Actor awards for his portrayal of a tough cop in Seven Days (2007). Ye Ji-won is a South Korean actress. Kim Min-joon is a South Korean actor. Choi Tae-joon is a South Korean actor. He is known for his lead roles in melodrama Exit (2018) and romantic comedy drama So I Married an Anti-fan (2019). Go Joon-hee is a South Korean actress. She made her entertainment debut as a school uniform model in 2001, then launched an acting career in 2003. Lee Joon-gi is a South Korean actor, singer, dancer, and model. He rose to fame on his first leading role playing a clown in the film The King and the Clown (2005). Since then, he has starred in television series My Girl (2005), Time Between Dog and Wolf (2007), Iljimae (2008), Arang and the Magistrate (2012), Gunman in Joseon (2014), Scholar Who Walks The Night (2015), Moon Lovers: Scarlet Heart Ryeo (2016) and Lawless Lawyer (2018). Huh Joon-ho is a South Korean actor. His father was Heo Jang-kang, one of the best-known Korean actors of the 1960s and 1970s. Huh began his career in theater, then became active in film and television as a character actor, notably in the 2003 box office hit Silmido for which he won Best Supporting Actor at the Grand Bell Awards. He has also reprised the leading role in the stage musical Gambler several times. Misty is a 2018 South Korean television series starring Kim Nam-joo and Ji Jin-hee. The series marks Kim Nam-joo's small screen comeback after six years. It aired on JTBC's Fridays and Saturdays at 23:00 KST time slot from February 2 to March 24, 2018. The Miracle We Met is a 2018 South Korean television series starring Kim Myung-min, Kim Hyun-joo, Ra Mi-ran, Ko Chang-seok and Joseph Lee. It aired on KBS2's Mondays and Tuesdays at 22:00 (KST) time slot from April 2 to May 29, 2018. ↑ "Stars from Korea National University of Arts". Hancinema. ETO. May 17, 2012. ↑ Lee, Ga-on (October 26, 2011). "My Name Is: Lee Hee-jun". 10Asia. Retrieved 2012-11-22. ↑ "Actor Lee Hee-joon and model Lee Hye-jung are getting married". Hancinema. Star MBN. December 4, 2015. ↑ "Koh Joon Hee and Lee Hee Joon Play Couple in Upcoming Film 'Marriage Blue'". BNT News. November 8, 2013. ↑ "Lee Hee-joon joins "Haemoo"". Hancinema. Newsen. October 1, 2013. ↑ "[bnt interview] 'Robot, Sori' Lee Hee Joon, the Beauty of Sympathy". BNT News. January 26, 2016. ↑ "LEE Hui-joon Added to PRECIOUS LADY". Korean Film Biz Zone. February 3, 2016. ↑ "PARK Hee-soon and LEE Hui-joon Travel Back to 1987". Korean Film Biz Zone. February 27, 2017. ↑ "Han Ji-min, Lee Hee-jun to star in 'Miss Baek'". Korea JoongAng Daily. January 19, 2017. ↑ "Lee Hee-jun to take walk down 'Yuna's Street'". Korea JoongAng Daily. March 21, 2014. ↑ "Lee Hee-joon to star in "The Legend of the Blue Sea" with Park Ji-eun". Hancinema. Xports News. October 10, 2016. ↑ "이희준, OCN '미스트리스' 남자 주인공 출연 확정". Star MK (in Korean). February 21, 2018. ↑ "Shin Ha-kyun scores top prize at 2011 KBS Drama Awards". 10Asia. January 2, 2012. ↑ ""You Who Rolled In Unexpectedly" Dominates At Korea Drama Awards". KBS World. October 4, 2015. ↑ "2012 KBS Drama Awards : Winners' List". Hancinema. January 1, 2013. ↑ "The honorable winners of the 49th PaekSang Arts Awards". Hancinema. News1. May 9, 2013. Wikimedia Commons has media related to Lee Hee-joon . 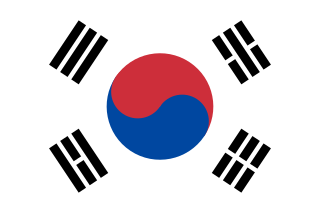 The Korean Movie Database (KMDb) is a South Korean online database of information related to Korean movies, animation, actors, television shows, production crew personnel and other film-related information. KMDb launched on February 2006 by Korean Film Archive. While it was modeled after the American online commercial film archive, Internet Movie Database, the site is a public site.